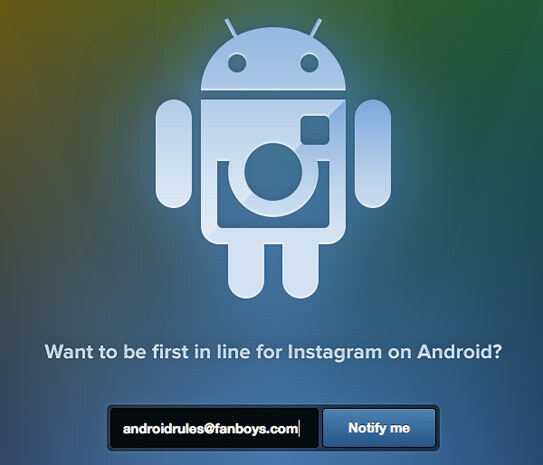 Instagram has just opened up a signup page for Android loyalists, enabling folks to input their email address and await word on the download going live. Sadly, there’s no hint on the aforesaid page that gets us any closer to a specific release date, but hey — it’s one less unspecified thing you have to remember, right? Pop that source link if your interest has been piqued.